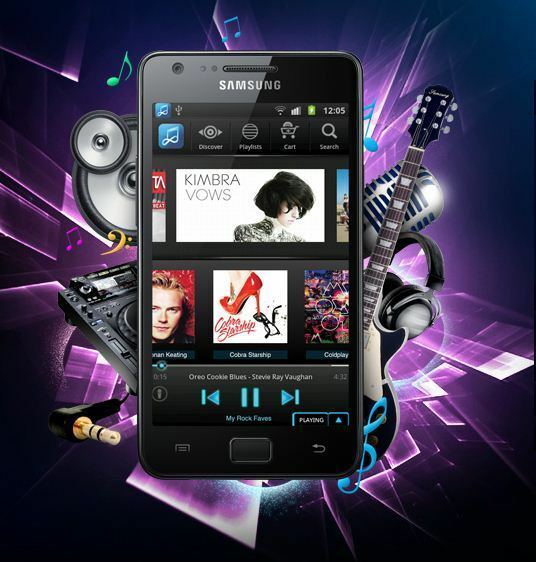 Samsung on Tuesday followed up the launch of the Galaxy S III in Europe with its own smartphone music service that allows users to store music in the cloud and stream it for a monthly fee. 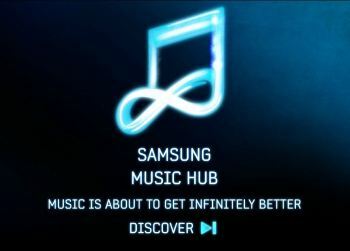 The music service is dubbed Music Hub and will initially only be available on the Galaxy S III in Germany, Spain, Italy, France and the U.K., but will "soon" be offered on a wider selection of devices, Samsung said in a press release. Users will be able to buy albums and songs in the Music Hub Store. The purchased music is stored in the cloud, can be accessed from different devices and could also be stored locally for offline listening, the company said. The store offers 19 million songs provided by 7digital, a digital media delivery company that has also provided music delivery services to Sony, Hewlett-Packard and Research in Motion among others. Samsung will offer a subscription service that allows users to stream all the available songs for $16 per month, Samsung said. Paying users are allowed to upload their entire music collection to the service and are also able to access a discovery feature that generates radio stations based on artist preferences, the company added. To reduce upload time Samsung uses a technology called Scan & Match that scans if a song is already available in the library. Only unmatched songs are uploaded, allowing users to listen to rare versions of the songs they have collected, Samsung said. Music Hub users can also access their library on a PC through a Web player at musichub.com. The service has no advertising and offers unlimited plays, Samsung said, adding that people can search for music, create playlists, share songs and view lyrics and album information. The technology for the service is provided by the wholly-owned Samsung Electronics subsidiary mSpot, which was acquired by the company in 2012. MSpot also runs white-label streaming services for Sprint, AT&T and Verizon. Samsung is not the first smartphone manufacturer to offer a music service to its customers. Apple's iTunes predated the iPhone, and it introduced its iTunes Match service last September, allowing $25-a-year subscribers to match their own music collection with the 20 million songs available in the library. The music is stored in the cloud and users are allowed to download the songs to ten devices including Windows PCs, Macs and iOS devices. Microsoft also integrated its Zune music platform into Windows Phone in 2010, allowing users paid access to millions of songs and videos and making them available on PCs and the Xbox. The Zune syncing services are comparable to Apple's and Samsung's sharing of music via the cloud. Other comparable music services that are not tied to a smartphone manufacturer are available in some countries. A service like Spotify offers to stream more than 15 million songs to computers and smartphones for $10 a month, and also syncs music libraries to the service. Apple has been able to successfully offer streaming media by integrating it across all of its devices, according to Giles Cottle, principal analyst at Informa Telecoms & Media. This is something Samsung cannot offer at the moment, he said. "The most glaring sign of this is that its Smart TVs and smartphones are still built on completely different operating systems, making true convergence almost impossible," he said in an email.Without a good cross-device experience, Music Hub will "simply be another paid-subscription and cloud music service in a market that is already starting to feel more than a little crowded," he added.